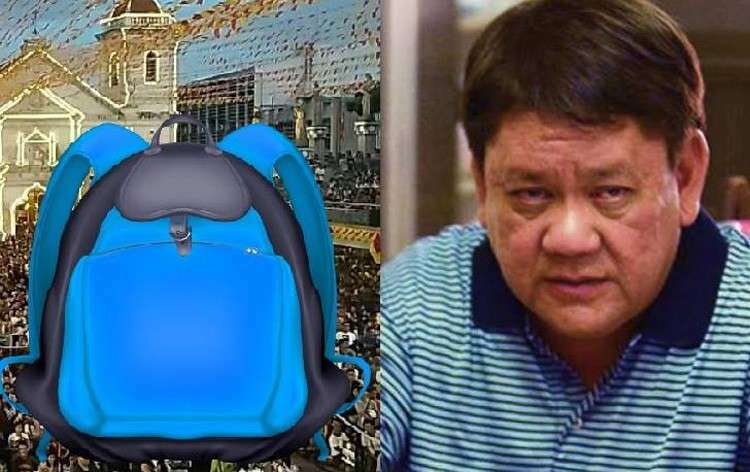 CEBU City Mayor Tomas Osmeña defended on social media the move to ban the use of backpacks in the venues of the Sinulog events following complaints from devotees who wish to visit the Basilica Minore del Santo Niño, Friday, January 11. On his Facebook page, Osmeña apologized for the inconvenience that the backpack policy may have brought to the devotees of the Sto. Niño but explained that he is only doing his job. "I am sorry, but this is for your safety," Osmeña wrote. The Police Regional Office (PRO) 7 first announced last November 2018 that they will not allow backpacks at the Basilica Minore del Santo Niño during its Sinulog activities for security puproses. Some of the devotees who went to the Basilica wearing backpacks not allowed entry to the church grounds. Osmeña said that they particularly ban backpacks since they are usually used in crimes and terrorism. "We simply do not have the resources to screen all bags properly and even if we did, movement would be slow you will end up standing for four hours waiting to be screened," he explained. He also noted that two million people will be on the streets during the festivities and that he is responsible for anything that will happen to Cebu. "Cebu has been fortunate enough to not have any bombing for the past 30 years and I will do everything I can to keep it that way," he said. Backpacks will also be banned during the Walk with Mary and the Solemn Procession.